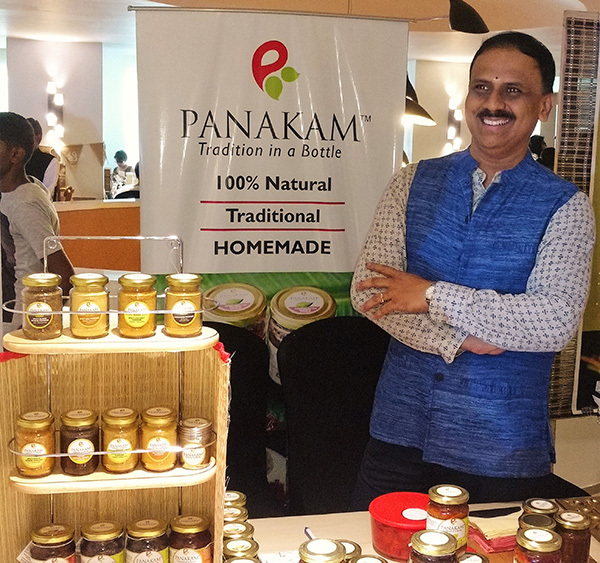 Chennai-based entrepreneur, pickle maker and wine educator Chinmaya Arjun Raja founded “Panakam – Tradition in a Bottle” in 2015 to celebrate the diverse gastronomic traditions in the home kitchens of South India. The products are handmade by selected families who continue to follow recipes passed down through generations by using fresh local produce and ingredients. 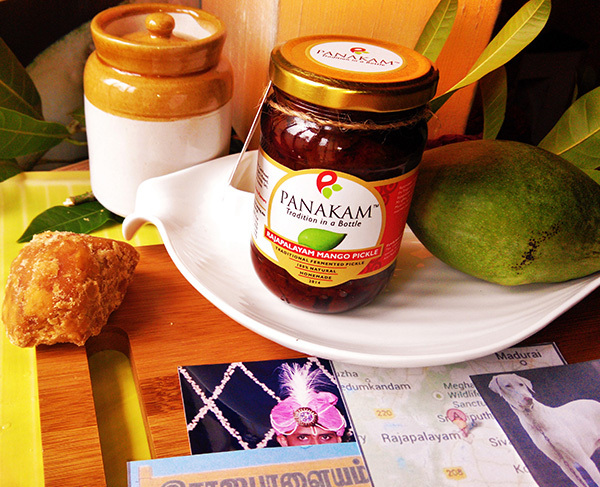 “Panakam – Tradition in a Bottle” products represent the culinary traditions of various communities and regions. 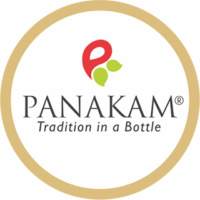 All the food products under the “Panakam – Tradition in a Bottle” label are homemade by families using their heirloom recipes passed down through generations. • 100% natural and traditional artisanal products made fresh with local produce and original ingredients. • 100% free from any artificial preservatives, added colours or taste enhancers. • Produced and bottled/packaged under hygienic conditions. • Made in home kitchens, not mass produced in an industrial unit. • 100% VEGETARIAN and made in 100% VEGETARIAN KITCHENS. The names of the food artisans and their family are mentioned on the label of each product, a brief history of the product, the family and the community and details of the region/city. 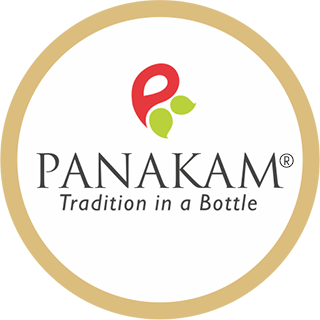 The concept behind “Panakam – Tradition in a Bottle”; the choice of the brand name and colour; and the ideation of the logo was all done by the Founder, Chinmaya Arjun Raja. The brand name and logo were registered under the Trade Marks Registry – Govt of India, Trade Marks Act 1999 section 23(2), rule 62(1) in 2016. All the product images used in this website were taken by Chinmaya Arjun Raja, unless otherwise mentioned and credited. The photo of the Founder, Chinmaya Arjun Raja, in the Founder’s Message page was taken by Japanese photographer Yayoi Arimoto at the Mango estate in Rajapalayam. 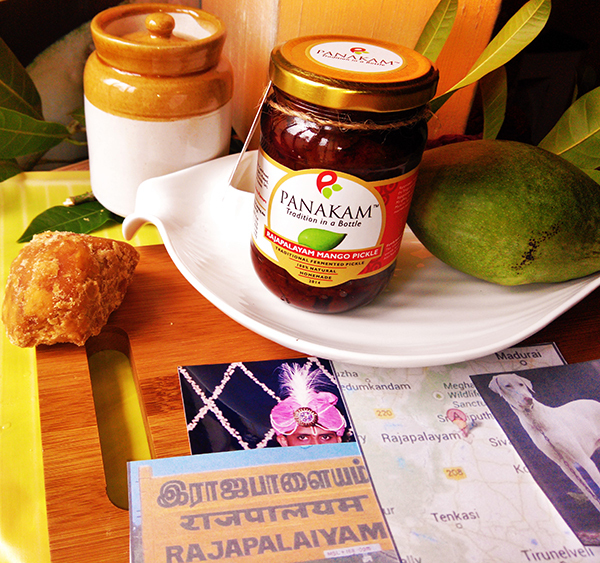 The photo of the two Rajapalayam mango pickle bottles on a banana leaf in the Home page and one of the photos next to the Culinary Trainings & Workshop in the Panakam Kitchen page was taken by Japanese food writer & photographer Akemi Yoshii.